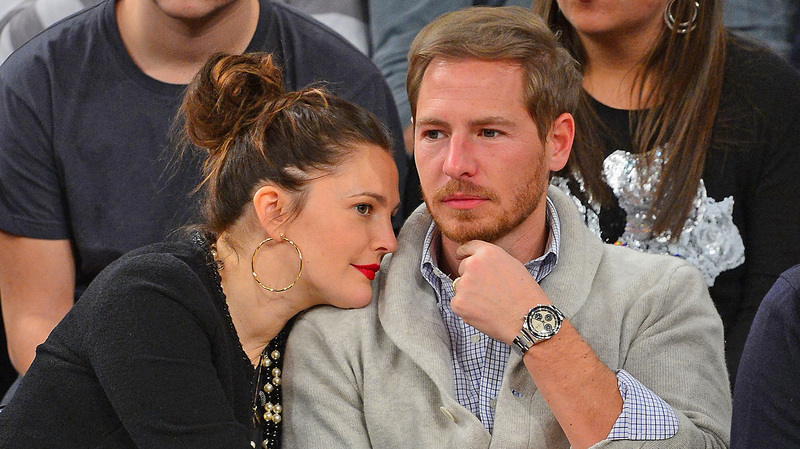 Drew Barrymore and Will Kopelman are divorcing after three years of marriage. They tried to make it work and vowed to stay close for the sake of their two young children, but Drew Barrymore is reportedly divorcing Will Kopelman, her husband of three years. This is Barrymore’s third marriage — she exchanged vows with Jeremy Thomas in 1994 and with Tom Green in 2001, but neither marriage lasted longer than a few months. Sources say the actress and Kopelman, an art consultant and the wealthy son of former Chanel CEO Arie Kopelman, have been having “difficulties” but are attempting to stay friends so they can be good parents to their daughters, Olive, 3, and Frankie, 1. Barrymore is, of course, referring to her wild childhood: she hung out at Studio 54 as a tween, began taking drugs at an early age and did two stints in rehab. It certainly sounds like she didn’t have a lot of direction or guidance from the adults around her when she was young and, judging by the way she refers to Kopelman, he was everything she needed that she felt she lacked in her life. It makes sense that, as opposites, they would be attracted to one another. She may still possess that free-spirited soul we love so much, but Barrymore certainly isn’t the same person she was when she was 13. By and large, she has defied all of the low expectations we have of child actors by becoming a successful author, producer, and businesswoman with her very own makeup line, Flower. She craved the stability Kopelman could bring into her life — and who can’t understand that? But there were a few “uh oh” signs that you could spot right off the bat. For one thing, Barrymore and Kopelman reportedly rushed to get married after finding out she was pregnant and expecting Olive. Sources say she wanted to walk down the aisle before her bump got too big and that it was important to her to have that commitment before the arrival of their baby. This isn’t to say that they wouldn’t have eventually tied the knot, but doing so in haste adds a lot of pressure to the equation. There’s also something to be said about feeling a certain amount of head-over-heels love and passion at the start of a relationship that helps propel it forward. If Barrymore chose to bond with Kopelman because she rationalized that he was a good choice for her — a pragmatic person who could provide the family structure she lacked and craved — she can’t be blamed for using her head. But, eventually, what the heart wants always catches up with you. Maybe their relationship simply lacked the passion she needed to feel wholly invested in it. Again, this is all speculation. No one actually knows what went down in Barrymore and Kopelman’s marriage. It’s sad to hear about any couple — and especially one with small children — calling it quits. I’m sure they’ll do whatever it takes to protect their daughters and ensure that they feel secure and happy during this challenging time.